What Is The Future Eternal State? This is where all believers in Jesus Christ as Messiah will spend the rest of their lives. Much better than the Millennial kingdom on earth , this place is Heaven. Bible Verses To Help You Know If You Will Be A Part Of This Future Eternal State With God. 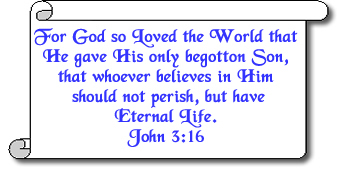 By putting your faith is Messiah Jesus you are allowing His blood from His death to atone for your sin. Romans 10:9-10 that if you confess with your mouth Jesus as Lord, and believe in your heart that God raised Him from the dead, you shall be saved; for with the heart man believes, resulting in righteousness, and with the mouth he confesses, resulting in salvation. Here is a sample Salvation Prayer to say to when you are ready to know for sure that you will be part of the future Eternal State with God. Of course God knows your heart so don't worry about saying some magical prayer with the proper words. Just speak to Him and let Him know of your repentance for your sin and you recognition of Jesus as Lord. Good luck on your new journey. If you have prayed this prayer we here at JewishRoots.Net would love to hear from you. Please Contact JewishRoots.Net so we can share in your blessing.